Harlequin SuperRomance Authors Blog: What do you do? In my October Superromance, BECAUSE OF AUDREY, the heroine is an avid caver, something which alternately fascinates and terrifies me. While I researched this hobby, I found gorgeous photographs of underground caves that were as beautiful as anything I've seen above ground, with stunning rock and crystal formations, things I would love to see. But actually going into one of those caves myself? It would give me a massive case of claustrophobia. I like wide-open spaces and plenty of room to roam. On the other hand, if I had to go underground to save someone I love, I would do it in a heartbeat! I also found out there are microscopic insects who live in caves, which makes my skin a little itchy. Silly, I know, considering how many insects there are around us in our daily lives. While writing my stories, I look for something a little bit different. I don't want my characters to always be doing the same things from book to book. In IN FROM THE COLD and HOME TO LAURA, the father of my three hero brothers was a mountain climber and actually climbed to the summit of Mt. Everest. Researching that was interesting! There are so many things people do that fascinate me, so many unusual careers and unique hobbies. I don't know how people find some of these past times. Do they research to find what's out there, or do they fall into these things by happenstance? Years ago, when I was a darkroom printer, I was the first woman hired in one of the professional labs in which I worked. This was a little different because women's career choices were more limited back then than they are now. Thank goodness, things have changed and there are innumerable choices available to us now. These days, my hobbies are very tame...reading(! ), knitting, cooking, learning to dance. I absolutely adore swing dancing. The music is joyful and fun, and fills me with energy. 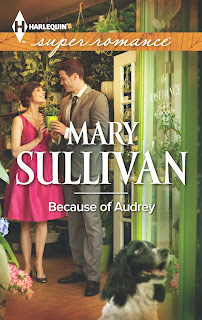 I'd like to give away a copy of BECAUSE OF AUDREY to someone who comments today. Check back on the weekend to see whether you've won! What are your hobbies? Or...what career did you choose for yourself? What keeps you engaged and active? Your books sounds so cool! I'm fascinated by caves. Vancouver Island, where I live in the winter, has more than 1000 recorded caves. Have also visited caves in Australia and New Zealand - but only on guided tours. All the best with the new book! My hobbies are reading and gardening. Your book sounds good. I love the cover. When I read "the heroine is an avid caver, something which alternately fascinates and terrifies me" in your post, I giggled. I am also guilty of looking at gorgeous photos of places I want to send my characters. You need to find a HUGE cave that won't give you claustrophobia so you can visit one yourself. 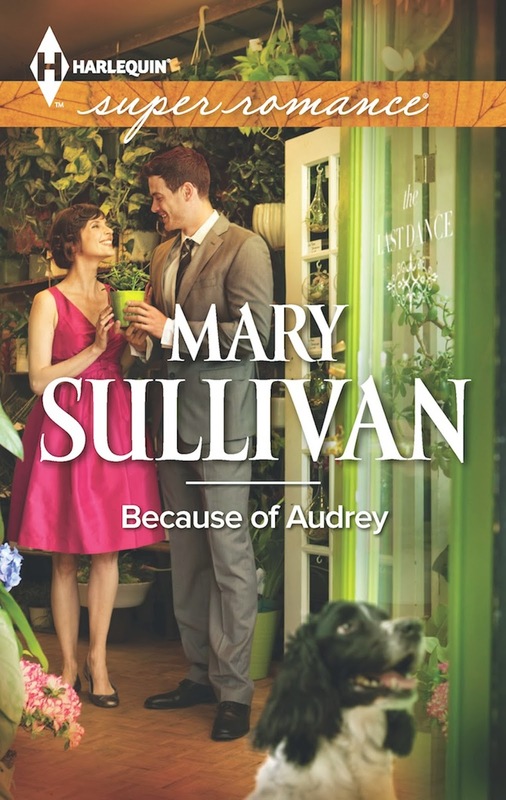 I would love to read "Because of Audrey," as I'm sure you found the perfect way to describe these underground caverns in wonderful, poetic language. Jocelyn, caving in Australia and New Zealand sounds incredible!!! Kris, he was VERY smart not to have told you about it. If my child had done that, I wouldn't have worried the whole time! Thank you for the kind words, Tina! My heroine has so much occupying her time in the beginning of the book that she doesn't get to go caving until quite far along—at which point she brings the VERY reluctant hero. Colleen, I've always wanted to be able to draw well. I envy your talent! My hobbies are gardening and reading. I love my craft work; I knit, sew, crochet & embroider. It's relaxing & productive. My hobbies are reading and I collect Snoopy and Peanuts memorabilia. I love to garden and right now I'm going to antique shows with my brother and husband. My brother is into collecting chalk ware so we help him scout out the show while trying hard not to buy anything ourselves. I used to go down mine caves when I was young and have been on a guided tour of Lewis and Clark Caverns near Yellowstone Park. I did enjoy the tour a lot and I would go on more of them if I had the chance. I love to be creative and I'm into cooking and baking treats. Recently been intruiged with making salads using quinoa. Love to sew pretty things, I knit, embroider stuff and make quilts. Am also into blogging, I read a lot of romantic books and watch movies sometime. So it's a lot, but mostly indoor adventures ;) No caving for me, still it sounds interesting!! First, I really loved Audrey's story. I think it's your best book yet. But I wouldn't go into a cave if I was dying. too freaky. Right now my new grand baby is taking a lot of time and my three year old brought every germ preschool had to offer home to incubate and share. Sunday is the Christening so gramma is providing the luncheon... too busy. Hobbies? Engaged and active? I play competitive badminton several nights a week and occasional weekend tournaments. I scrapbook only because I have pictures worth saving for generations to come. I also love cooking and baking; just ask my friends, who are the recipients of lots of it! Since I'm in my 50's now my hobbies are reading, knitting and crocheting and counted cross stitch. I use to breed tarantulas and sell them to the main sellers, I don't breed them any more and now I only have 8 that are real pets. At one time we had over 450 of them. I do still love them. I can shock people at the reptile shows when the guy ask who wants to hold this tarantula and I'm the only one that say I do! our teenage daughters love them as well. That is an awesome hobby! Occasionally quilting and keeping chickens has nothing on that. Congratulations to TINA HAHN who has won a copy of BECAUSE OF AUDREY!!! Thank you to everyone who left comments on my blog. I enjoyed reading about everyone's hobbies!